Additional Senior Civil Judge BK Dasondi also stayed the operation of his order for two weeks, so that Jay Shah, who had filed a civil defamation suit against "The Wire", could move a higher court against it. 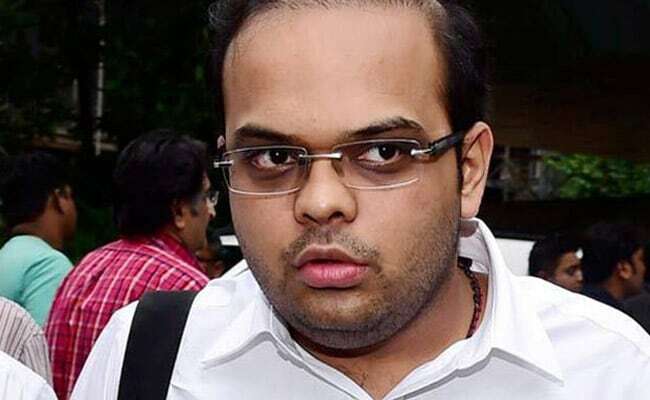 Ahmedabad: An Ahmedabad court today partly lifted its gag order against news portal "The Wire", allowing it to publish articles on the business of Jay Shah, the son of BJP chief Amit Shah, but said it should not link the subject matter to Prime Minister Narendra Modi. "The Wire" had moved the court against its injunction that it should not publish anything about Jay Shah's business until the suit was disposed of. The court today said the news portal could publish articles regarding Jay Shah's business, but it would not have any reference to the prime minister, as the original article in question could not justify linking the rise in Mr Shah's company's turnover to PM Modi becoming prime minister. The article, titled 'The Golden Touch of Jay Amit Shah', had said the turnover of a company owned by Jay Shah -- Temple Enterprise Pvt Ltd -- "increased 16,000 times over in the year following the election of Narendra Modi as prime minister". Calling it slanderous, Mr Shah had filed both a civil defamation suit as well as a criminal defamation complaint against the portal. The civil court had, earlier, issued an injunction, prohibiting "The Wire" from "publishing, broadcasting or printing" anything on the basis of the article till the suit was disposed of. The news portal had challenged it before the high court, which had asked the lower court to hear the matter and pass an order within 30 days. "The Wire" had argued against the gag order, saying if the author of the article could justify her contention saying it was true and based on public record, the court could not issue such an injunction, whatever the final outcome of the case might be. The court accepted this argument, but said there was no justification regarding the reference to PM Modi in the article. Mr Shah sought a month's time to move a higher court against today's order, but the court stayed the order for only two weeks. Mr Shah has filed a Rs 100-crore civil defamation suit against Rohini Singh, the author of the article, five editors of "The Wire" and its publisher, Foundation for Independent Journalism.